Lucian Granger isn’t winning any Mr. Cowboy Congeniality awards. Known in his small Texas town as “Lucifer” thanks to his surly nature and knack for scaring people away from getting too close, the handsome rancher has no trouble ignoring the gossip. But when he’s in danger of losing the land he’s put his blood, sweat and tears into maintaining, Lucian sets out to prove he’s a changed man—by claiming he’s about to settle down with his invaluable assistant, Karlee O’Malley. Their pending nuptials may be just for show, but from the moment they kiss, the proverbial fireworks start going off in his head—and in his heart. Before long, the man who’s usually as emotional as a brick wall is tired of pretending and wants to share a real future with Karlee. 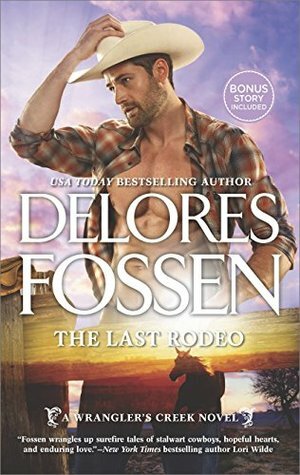 With his world suddenly turned upside down, Lucian will risk losing the business and the ranch if it means holding on to the one woman worth becoming a better man for.